I am often asked by those new to the ZetaTalk material, particularly those who have been impressed by the ZetaTalk accuracy, whether their location will be safe during the forthcoming Pole Shift and Earth changes. In that there are 7 billion people on Earth, it is scarcely possible for me to step through the issues for each frantic person. The ZetaTalk website is vast and often overwhelming, so how does one go about making this determination? In 2010 the Zetas laid out what they termed the 7 Steps to sorting this out. This is in the body of ZetaTalk on the ZetaTalk website but also featured front and center on the Pole Shift ning. Everyone is encouraged to take this test, as it only takes a minute. ZetaTalk Guidance 9/11/2010: Step 1 is to research your location in the Safe Locations information on the ZetaTalk website. In this you should examine not only your country, your state or province, or your city but also any nearby. Your specific town may not be covered but the whole river valley may be predicted to flood and to flood permanently. This would be a clue that your specific town will be likewise affected. We cannot and have not addressed every spot on Earth, due to time and energy constraints, as we expect you to have a brain and take this approach. Let’s look at six locations that have a variety of challenges, as examples. First, Nairobi, Kenya. Kenya will have a temperate climate similar to their climate today, and due to Africa being high land, will not suffer from flooding in the Aftertime. Sloshing water will occur along coastlines but no significant backwashing river issues will occur as the rivers drain inland. The African Rift Valley does have volcanoes. Zeta advice is to stay 100 miles away and to not be downwind. Note that new prevailing westerlies will blow volcanic ash toward the Red Sea, so be to what is now the east or west of the volcanoes. In that Africa is considered one of the target locations - under populated, and above ground after the sea level rise - migration out of Africa should not be an issue. An influx of migrants will be the problem. In the Safe Locations info, the Zetas state that Kenya’s greatest worry is marauding from Somali war lords. ZetaTalk Advice 2001: The Horn of Africa, Somali, is war-lord prone, mercenaries on the rove. They are used to living on looting, what they can commandeer with guns and by being ruthless brutes, their reputation pressing all who hear them coming to lay out the goods before confrontations emerge. But in lean times, something else emerges – resistance. The marauders find little to feed themselves and fall to infighting among themselves. Thus weakened, they are picked at. Such a process may take years, even decades, but the outcome is certain. 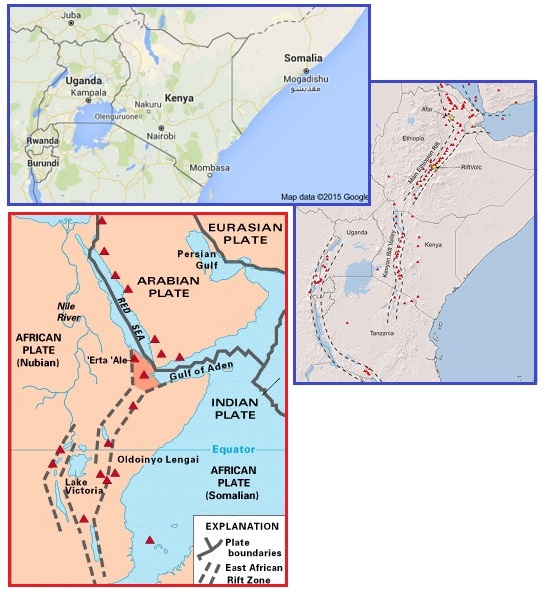 ZetaTalk Advice 2001: As the African Rift Valley spreads apart, Lake Victoria will grow in size. Those parts of Africa that are tearing apart will increase their spread. Since Africa is high land, this will not result in an invasion of seawater. The next example location is Mumbai, India. In the Safe Locations page, the Zetas state that India will be devastated, as it lies on a plate that will be driven under the Himalayas. India will be the new S Pole so those clinging to the highlands of the Himalayas will freeze. Even southern China and Iran will be almost polar, like Siberia or northern Canada today. India is also a prime example of sinking land. Sloshing of water pouring in from the oceans on all sides will cause vortex whirlpools and erratic water movement, so being in boats over the continent of India during the Pole Shift is not a good survival maneuver. Migration is key for this location. 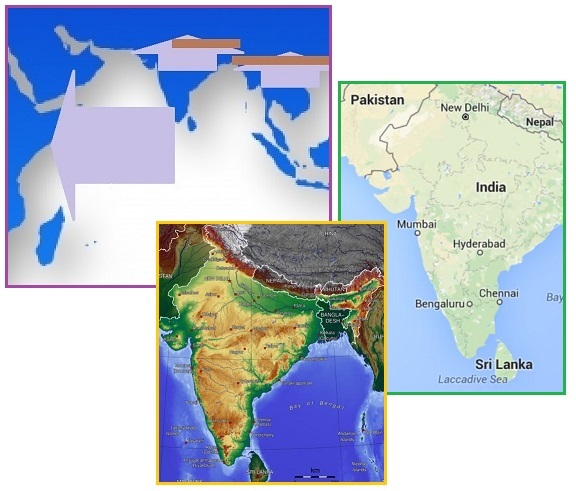 ZetaTalk Advice 2001: Due to the compression of the Pacific during the forthcoming pole shift, India is forced under the Himalayan highlands, with a violent thrust of the Indo-Australian plate, under the Himalayas. Those in India will find, after the first strong jolts, that water is rapidly rising, coming in from the coast for those who live there, and coming from whatever area might be considered the lowland for those inland. Giant waves will not occur, just a rapid rise in the water, which will force man and animal alike to tread water for as long as possible, then drown. Those in boats or clinging to floating objects will find the waters swirling, whirlpools developing suddenly, so boats will capsize and sink. The flood tide will close in on all sides of India, and meet in the middle, creating crashing waves in the center and rip tides as the water pulls back again. Drowning will be swift, and is fortunately painless. Those who would survive the coming cataclysms are advised to leave the lowlands, which in the case of India as well as western Australia, means leaving the country. The best advice is to migrate now, of course, advice which many families living hand to mouth simply cannot take. But when it is clear that the Last Weeks are upon you, do not linger, as it is likely already too late. We have mentioned that immigration, legal or illegal, to Africa will be a strong press. Boats will be diverted to human cargo, in great numbers. The third example is Canada, around Hudson Bay and over to the Northwest Territories province. In the Safe Locations page, the Zetas state that much of Canada will be inundated in the Aftertime. Canada will be warmer, very temperate with the new Equator running through the Arctic. Where not permanently flooded, survivor camps will do well. ZetaTalk Advice 2001: The worry Canadians should be concerned about is one that will sneak up on them, in the days leading into the pole shift and in the two years following. 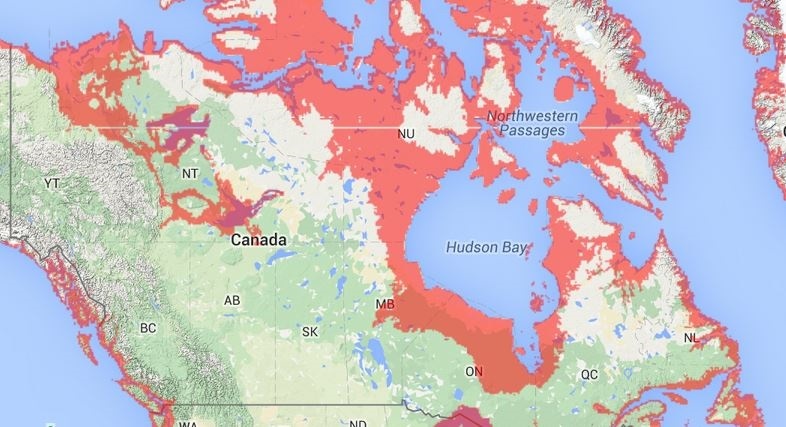 Much of Canada has a low altitude, and where land lies lower than 650 to 700 feet, this will be inundated within two years due to the melting ice caps of the old poles, now under the equatorial sun. Much of Canada is low lying land, as is much of Russia. Grasslands do well in the gloomy Aftertime weather that lasts for at least two decades, and with a milder climate these cities may find becoming herdsmen will alleviate the hunger from lack of imported food stuffs and poor grain crops. Native grasses should be encouraged. The rising seas will sneak up on Canadians unaware of what is happening, who may head in the wrong direction. Many lakes in Canada will swell due to the post Pole Shift rains, so be prepared to take to boats or shift to high ground. Houseboats are very much advised! The Zetas suggest, for the Northwest Territory, eat the predator bears before they eat you! ZetaTalk Advice 2001: The most significant impact of the shift, for this relatively unindustrialized and lightly settled province, will be the sudden change in climate, which will go from cold to hot, almost overnight. What is now the eastern portion of the Northwest Territory will undergo steady inundation during the two years following the shift. This steady melt will affect wildlife as well, forcing predators to crowd along with man, and deprived of their normal food source, intense battles may occur where the issue of whether man will eat beast, or vice versa, will be determined. Survivors may find themselves stranded and drowning. 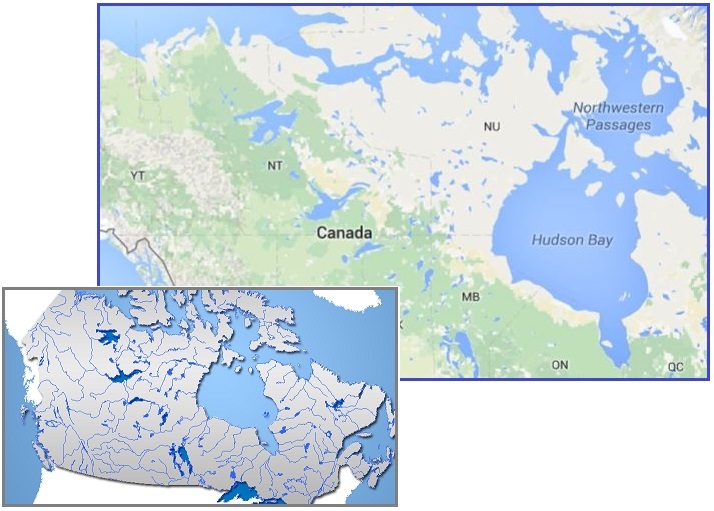 Thus, a survival technique is boats, and heading toward the higher land in what is now the western or southern portion of Canada. ZetaTalk Advice 2001: These rains will reduce to a drizzle, but flood waters that back up from rivers bloated beyond their capacity can take a long time to drain. Those that would survive are advised to be ready to take to boats, not roof tops, or go to higher ground until some weeks after the shift. 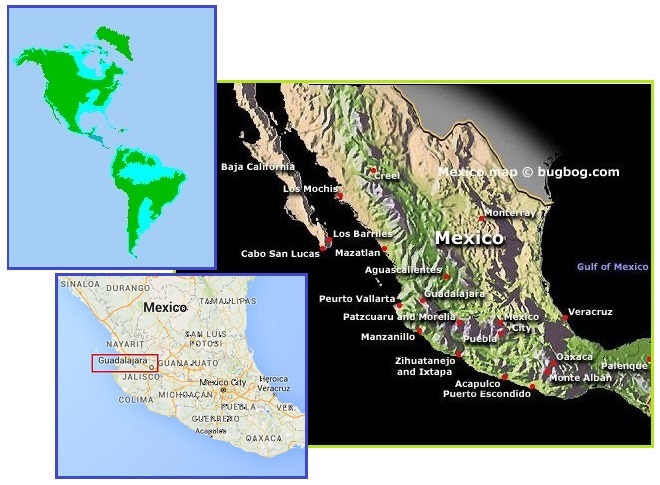 The next location is Guadalajara, Mexico, in the highlands along the western coast of Mexico. This will be an excellent Aftertime climate and location, with ocean fishing near at hand. 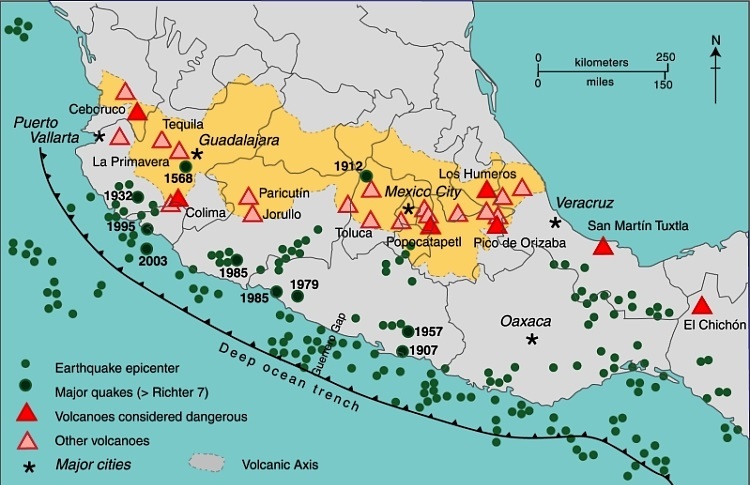 In the Safe Locations pages, the Zetas stress tidal bore up to 3,000 feet as Guadalajara’s greatest worry during the Pole Shift. Tidal bore can and does climb 3,000 feet when the pressure is sufficient. This will be Guadalajara’s horror for the unprepared. The Zetas have advised that the flood tide during the hour of the pole shift will be up to be 500 foot, with an additional 100 foot in height where tidal bore is expected due to the shape of the land. One must be 100 miles inland and 200 feet up for a 500-600 foot high tide. ZetaTalk Advice 2001: Guadalajara, situated near the west coast of Mexico, today enjoys the coastal access, but during the shift this same proximity will spell doom to the residents. The Pacific will shorten, the Atlantic widen, and Central America crumble, creating a larger causeway between the oceans than Panama currently allows. Water will rush from the Pacific to the Atlantic, roaring along the Mexican coastline on its way to this outlet. Thus more than a flood tide will present during the shift. Rampaging waters will sweep away anyone caught in its grip. After the shift, the current coastline will go underwater in the main, but Guadalajara will have easier coastal access which will afford good ocean fishing. There will be plenty of rain for a few crops in the gloom, and a temperate climate, equivalent to what it enjoys today. Guadalajara is positioned such that tidal bore from the Pacific would reach this mountain city, despite its elevation. Water will reach the streets of Guadalajara, to the astonishment of its citizens. Rapidly moving water can be forced up into ravines and inland, tidal bore, to relieve the pressure, reaching even to the gateways of Guadalajara. There are many volcanoes along the Pacific Rim due to subduction of the Pacific. Move inland away from volcanoes, by 100 miles, and to avoid tidal bore, then return. Migration from Central America, fleeing north, is a trend already present. 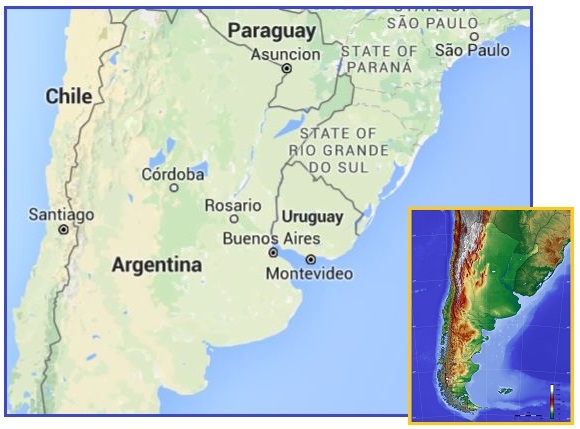 The next location is Buenos Aires, Argentina, which also has unusual challenges. Buenos Aires is fortunate as it will have a similar climate as today, very temperate. The new Equator will run through Antarctica and up the middle of the Atlantic. ZetaTalk Advice 2001: Buenos Aires is blessed, today, with an ideal location along a rich seacoast at the mouth of a river, surrounded by rich farmland and with a backdrop of mountains only a day's drive away. Much of this will remain the same after the shift, with the climate remaining much the same too. Buenos Aires will likewise suffer when the existing poles melt, within two years of the shift, rising the sea level some 650-700 feet. This will inundate many areas around Buenos Aires, as well as many residences, forcing survivors to crowd into already crowded and starving situations. Tempers will flare, resulting in ugly confrontations, with few surviving. In the Safe Locations pages, the Zetas stress the danger from displaced water washing over the coastal mountains, due to new land rising nearby. ZetaTalk Advice 2001: Those who would survive in Argentina, along the coastline toward the tip of South America in particular, should assume the mountains along the coast a danger zone, and move inland to the highest mountain peaks they can reach in order to survive this time. ZetaTalk Advice 2001: During the shift itself, we predict that new land, in fact a new continent, will rise between the lower part of South America and Africa, just north of Antarctica. This will displace a large amount of water that will rush up the shorelines in a direct path from this new continent's rise. Those along the coast or in ravines where tidal bore will occur will find this flood tide immense, as it will wash into the foothills of the mountains, crashing and surging. Those who would survive should retreat into the mountain, well into them, until the ocean tides are regular and not erratic, a period of several days after the shift. The South Atlantic Anomaly, a magnetic anomaly caused by the crustal displacement there, matches the Zeta’s rising land prediction. ZetaTalk Comment 5/31/2014: Is there some relationship between this anomaly and the emerging new land that will appear nearby when the Antarctic Plate pushes up between the tip of S America and S Africa during the Pole Shift? This spot has been pulling apart, creating a void between the great S American and African plates over the decades as Pangea has pulled apart. The next location is Moscow, Russia and the country of Russia in general. The new Equator through the Arctic bodes well for Russia in the Aftertime. ZetaTalk Advice 2001: Russia, which is in the main in frozen northlands, will be pleasantly surprised to find itself in a warmer climate. But in the Safe Locations pages, the Zetas state that most of Russia will be inundated within 2 years after the Pole Shift due to the expected sea level rise. 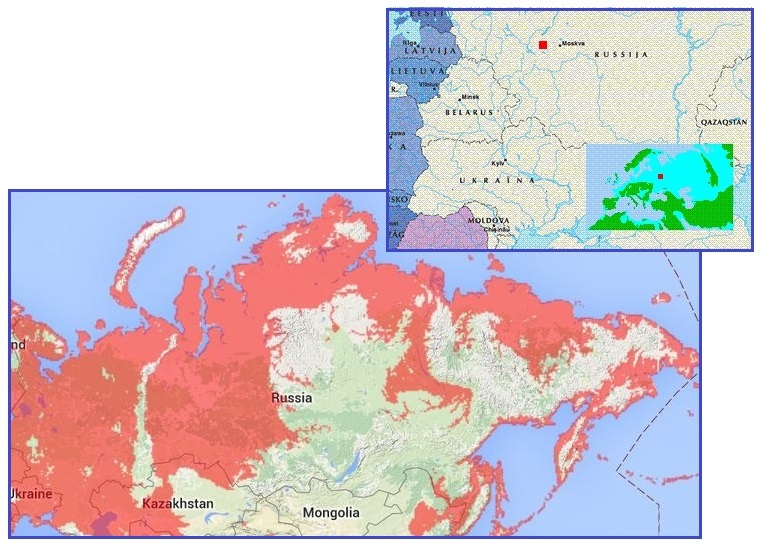 This is a huge blow to Russia, over half its land mass flooded. Here, the advice is to build houseboats and move along the moving coastline during the rising seas, so as not to lose one’s bearings and be essentially lost at sea. ZetaTalk Prediction 8/20/2011: Vast, heavily populated areas of Russia will become steadily flooded after the pole shift, to the dismay of survivors who perhaps have assumed they survived the worst. ZetaTalk Advice 2001: Siberia is low land, and the melting poles will swallow this land within months. Russia, in the main, is lowland which will shortly be flooded after the shift. The Ural Mountains are the sanctuary to which the elite of Russia will rush. These beautiful mountains will become an island, surrounded by the rising waters which will engulf the lowlands of Russia within two years after the shift. We would advise those who are not near mountains or highland, such as the Urals, to fashion boats early and plot a course, sighting familiar landmarks as the move on houseboat or whatever they have devised prior to a full flooding of the lowlands. The waters can be expected to rise for 2 years after the shift, but during this time, a floating group can fish or harvest from the sea. Moscow, the current capitol of Russia, lies at the convergence of several rivers, which will backwash during the Pole Shift. 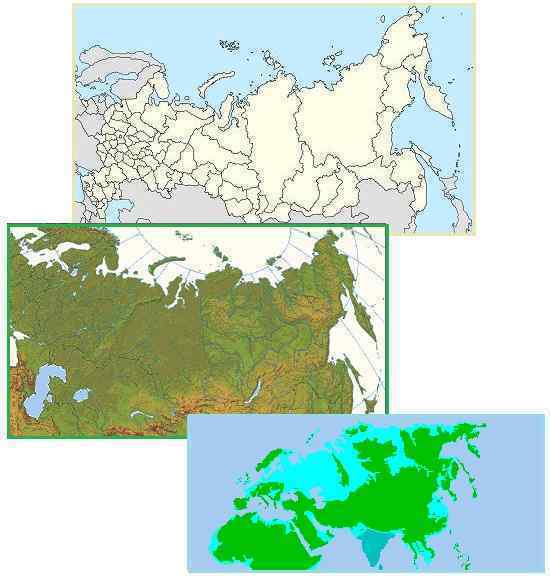 Where western Russia will flood after the Pole Shift, the Far East and lands near Kazakhstan and Mongolia and China are high land. ZetaTalk Advice 2001: At the headlands of rivers, Moscow will itself find water rising to its doors. At first, this news will come to them by the desperate homeless, arriving at the headlands with reports that the waters are rising in the rivers, coming inland from the all directions. Ultimately, the waters will swallow Moscow, drowning any who have remained there. On Feb, 2014 Medvedev moved Russia’s state offices to their Far East. Industry and farming is encouraged to go there. In Sep, 2015 free land was offered to Russians moving there, 12 acres each. 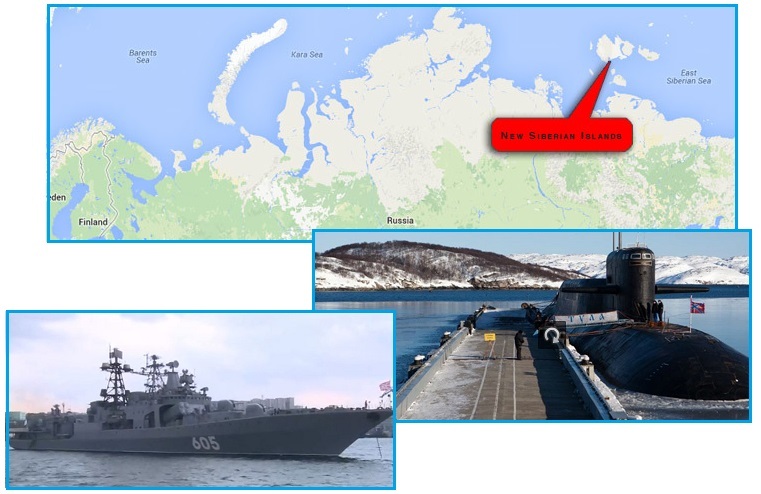 The new navy base on the New Siberian Islands is also above the Far East. Clearly, Russia is planning a huge migration of their peoples. ZetaTalk Advice 2001: Northern and western Russia is a huge area, well populated today, and almost all of these people will be migrating in the Aftertime.